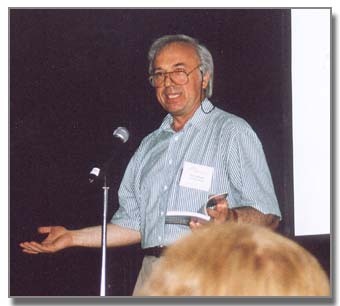 Ion Codrescu has been writing haiku in his native Romanian and in English for over 20 years. One of his recent books, Oaspete Strain / A Foreign Guest, won an Honorable Mention in the Haiku Society of America's Merit Book Awards for 2000. His book is a tour-de-force of haiku, haibun, tanka, renga, and sumi-e (monochromatic ink paintings), based on a recent trip to the United States. Click this link to see one of Ion's haiga: poppy haiga. You can send email to Ion at codrescuion@gmail.com.